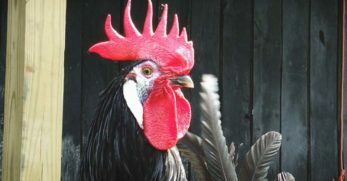 Hearing the word Brahma evokes the image of that giant rooster that went viral a while ago. While most Brahmas aren’t quite that large, they are not a small chicken breed. 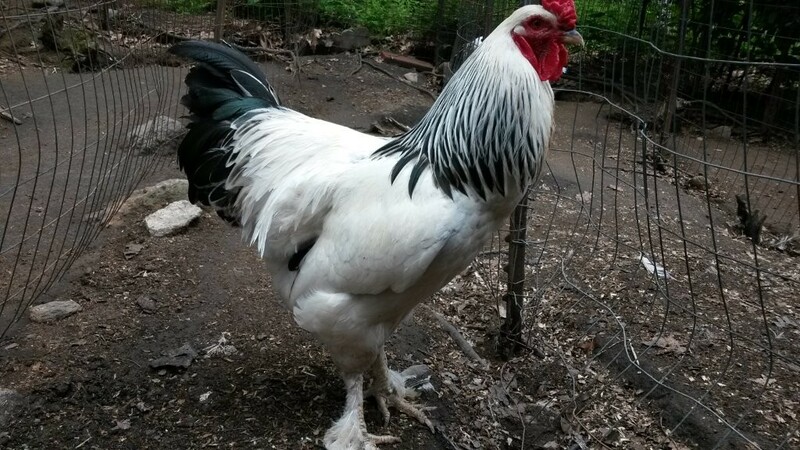 Many chicken keepers love Brahma chickens for their gentle giant dispositions and exceptional meat qualities. Brahmas are very elegant in appearance, with their feathered feet and fluffy feathers, making them appear to be wearing an elaborate ball gown. 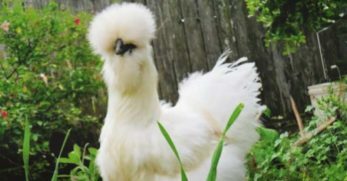 Many people disagree over the origin of Brahma chickens because their roots are a bit foggy. From the best we can tell, it seems Brahmas were bred in North America using stock imported from China. 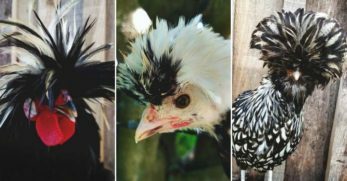 These Chinese chickens were referred to as Shanghai birds, and they gave Brahmas some of the characteristics that distinguish them from Cochins. 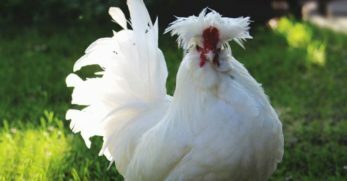 One main characteristic distinguishing Brahmas from Cochins is comb type. Cochins have a single comb while Brahmas proudly sport a pea comb. 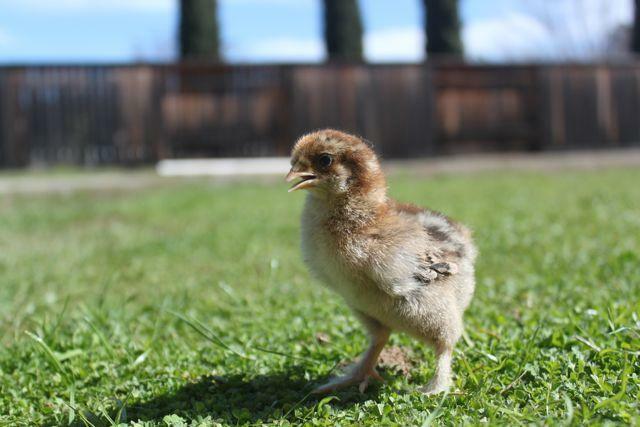 This beautiful breed has three color varieties accepted by the American Poultry Association. The first color varieties accepted into the Standard of Perfection were the Light and Dark Brahmas. A few years after the first two colors, Buff Brahmas were allowed into the Standard of Perfection. In Australia, there are a few other color variations which are slowly making their way to the United States. 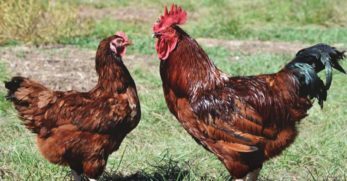 Arguably some of the largest chickens in the world, hens weigh about 9 pounds with roosters weighing in around 12-13 pounds. Definitely not a petite chicken! On top of their large size, Brahmas have fluffy feathers, making them appear to be rather humongous. Don’t let their large size intimidate you; these birds are gentle giants. Brahmas are very calm and docile with a natural affection for their caretakers. They also make incredible mothers, and Brahma hens have been known to go broody frequently. 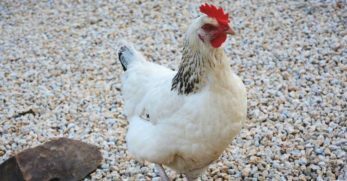 Though Brahma chickens were primarily bred for meat, they do have fair egg production. 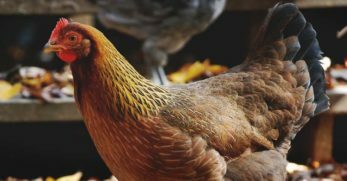 You can expect approximately 150 large, light brown eggs from a single hen in a year. 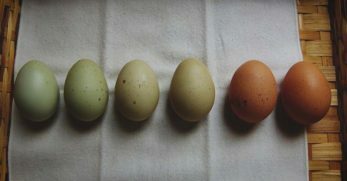 One of the best parts about their egg production, is they are more likely to lay eggs during the winter. It’s nice to have a breed of chicken that lays eggs when some other breeds in your flock are ready to take a little break. If you’re looking for a large dual purpose bird, you don’t need to look any further. These large birds can dress out the same size as an averagely sized broiler. As with most heritage breeds, Brahmas are slow growers, and they will not be full grown in 3 months like some meat birds. If you’re willing to wait, these birds will reward you with good quality meat. Due to their large size, Brahmas can undoubtedly eat their fair share of food. These birds tend to be a bit cannibalistic when they don’t have enough food. Some chicken keepers choose to ration their chicken feed out to the flock. 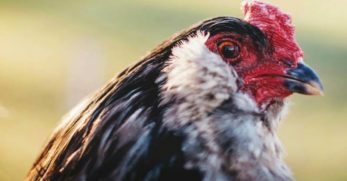 Many chicken keepers don’t recommend rationing chicken feed to Brahmas due to their occasionally cannibalistic tendencies. 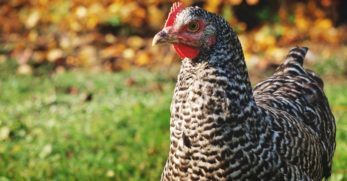 From hatch to about 18 weeks of age, your Brahma chicks will need a high-quality chick starter/grower. Once your birds near laying age, you’ll need to transition over to a good laying feed. 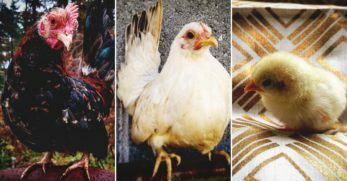 Provide supplemental calcium in a different dish so your hens can eat it as necessary. When your Brahmas are fed a good diet with occasional additional treats, you’ll have a happy, healthy and productive flock. Since Brahmas are such giant birds, they require a bit more space in the coop than some chickens. I recommend a minimum of 5-6 square feet per bird in the coop, with 12-14 square feet per bird in the run. Brahmas do well free ranging, and their size makes them very difficult for most birds of prey to carry away. Unless of course, you live in Colorado with the eagles that carry mountain goats off cliffs. Due to their size and inability to fly well, you don’t need a fence higher than 3 feet to prevent Brahmas from flying out. 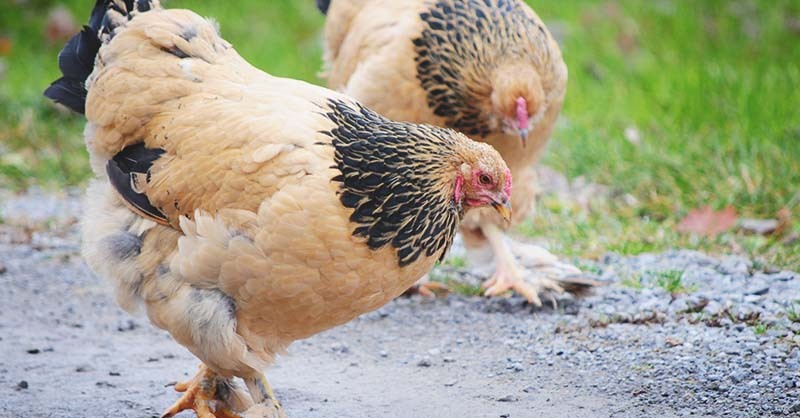 Brahma chickens are generally very hardy and healthy birds. 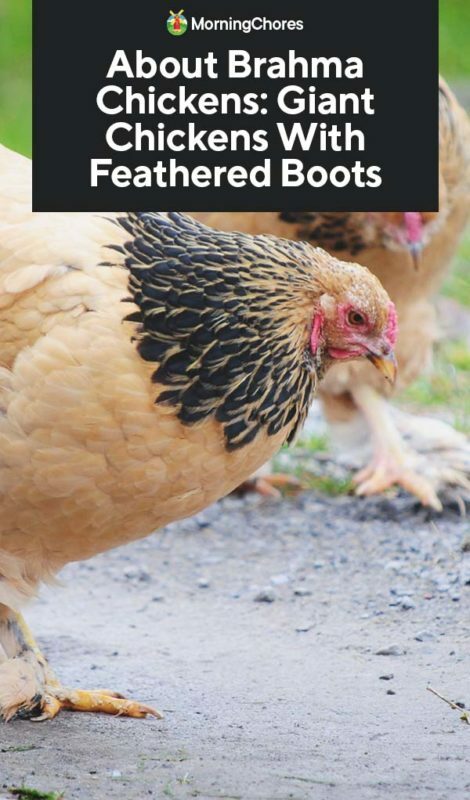 You will need to keep an eye on their feathered legs for scaly leg mites. These pesky little critters love infesting feathered legs, so it is essential to learn the signs and keep an eye out for their presence. When bad weather comes about, Brahmas can get matted feathers on their legs. If it is especially muddy, the feathered legs can get so dirty the hens might need help getting them clean. Mud can also collect on toes or ankles making mud balls that will need to be removed with pliers or a long soak in some warm water. Breeding Light and Buff Brahmas is relatively simple due to their basic feather colorations. However, Dark Brahmas can be slightly complicated due to their intricately laced feathers. 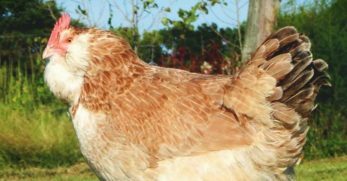 Many breeders choose to use the double mating method to perfect their Dark Brahma lines. 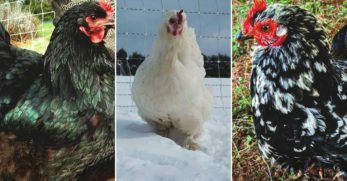 As with all breeds with difficult feathering, time and patience are key to breeding good birds. 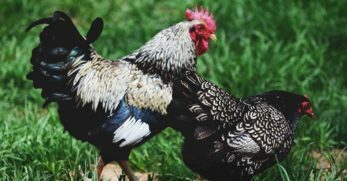 Cochins are remarkably similar to Brahmas for several reasons. These birds are also very large dual-purpose chickens, but they weigh just a bit less. 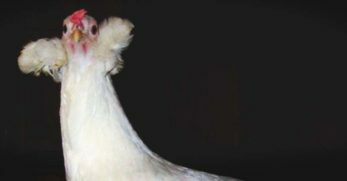 In appearance, Cochins do resemble Brahmas, with their feathered legs and fluffy feathers. I have owned both breeds and find them both to be charming to own. Wyandottes are also a larger breed that is great for meat and resembles Brahmas in appearance. 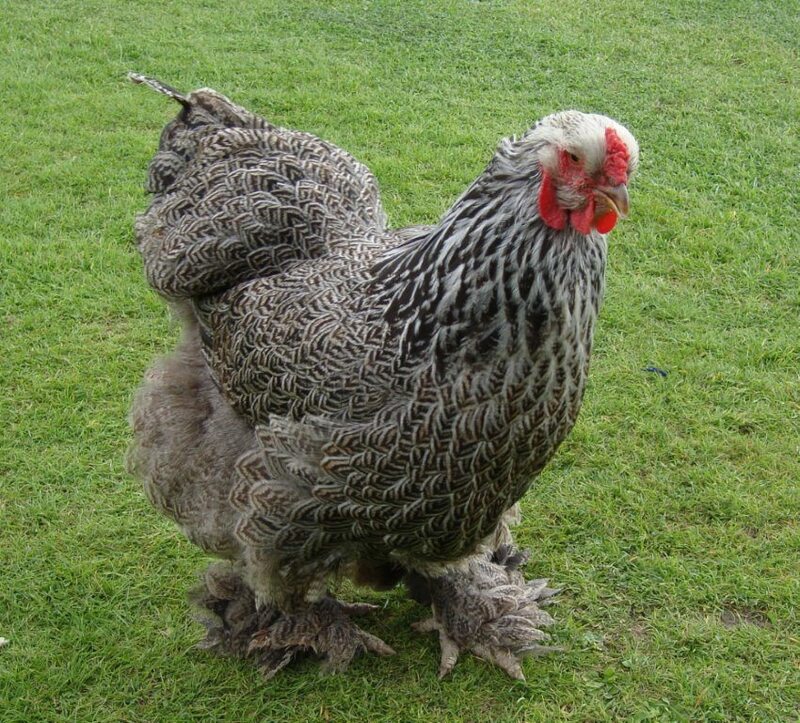 The Columbian Wyandottes almost appears to be a carbon copy of a Light Brahma while the Laced Wyandottes are reasonably similar to the Dark Brahma. 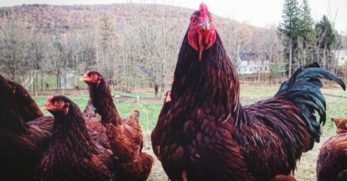 Wyandottes have better egg production than Brahmas, but they don’t yield quite as much meat. 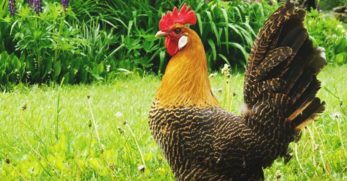 The largest breed of chicken said to be alive right now is a Brahma rooster! Imagine keeping up with a chicken the size of a small child! Bet the feed bill is pretty hefty. If you’re looking to add a bit of “wow” to your flock, Brahmas certainly won’t disappoint. 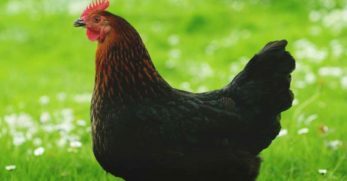 Sure to impress your friends and neighbors, you won’t regret having a few of these gentle giants in your chicken coop. 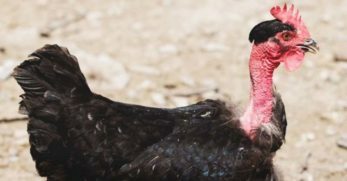 About Turken Naked Neck Chickens: Is it a Turkey or a Chicken?